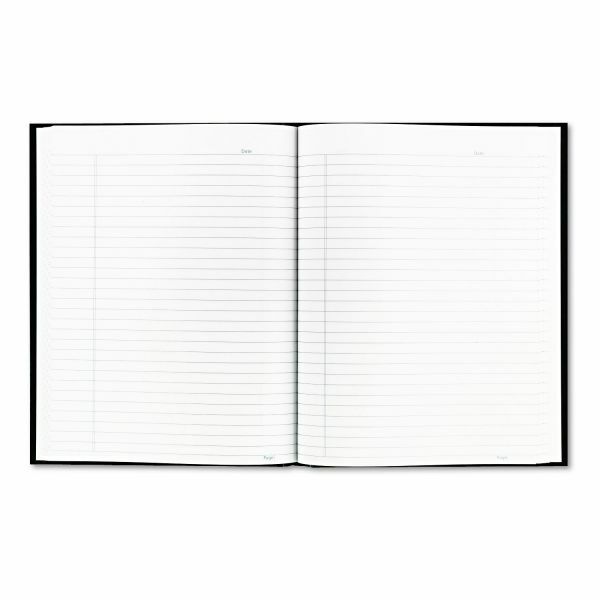 “Perfect-binding” feature allows notebook to lie flat when open. Note: A minimum quantity of 80 must be ordered, and in units of 5 thereafter. 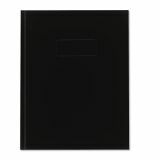 Blueline Business Notebook w/Black Cover, College Rule, 9 1/4 x 7 1/4, 192 Sheets - College-ruled notebook features a hardbound cover, perfect binding and white pages. 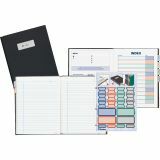 Inside the smooth leatherlike cover, self-adhesive tabs and index system organize your notes. 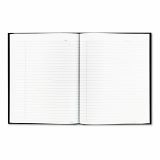 Notebook contains 192 sheets and is made with 100 percent recycled material with 30 percent post-consumer material.